House of Shakti is excited to announce that House of Shakti Jewelry, in association with The Artisan Group, was recently selected to gift our jewelry and one-of-a-kind Scarf Necklaces in an exclusive collaborative gift bag prepared especially for celebrities Sarah Jessica Parker and Katie Holmes . Located in Beverly Hills, CA, House of Shakti is the creative vision of designer Lubna Salah who uses crystals for healing and empowerment. Each piece of jewelry is spiritually inspired and handcrafted to promote healing of the mind-body-spirit connection. Since ancient times, gemstones have been looked to for their mystical and healing powers. Through focusing on the healing properties of crystals as well as a yogic understanding of chakras, all jewelry is designed to achieve subtle positive changes in ones aura. Using only the highest quality semi-precious gemstones, gold, and silver, each piece is handcrafted into elegant, feminine designs with its own healing prescription for the soul. Her mission is to empower women to discover their highest potential through tools of practical enlightenment, like gemstones. Through her life and travels to the Middle East and India, Lubna saw first-hand much injustice, especially towards women. She felt there was a need to bridge the gap between the East and West so that women could unite and learn from each other. She hopes that her jewelry will help empower and inspire women to find their voice and live more conscious lives. Lubna is the creator of the incredibly unique and versatile "Scarf Necklace" that can be worn a dozen ways. It is a hybrid of a scarf and layered gemstone necklace that can dress up even the simplest of outfits and is the first design of its kind in the fashion world. 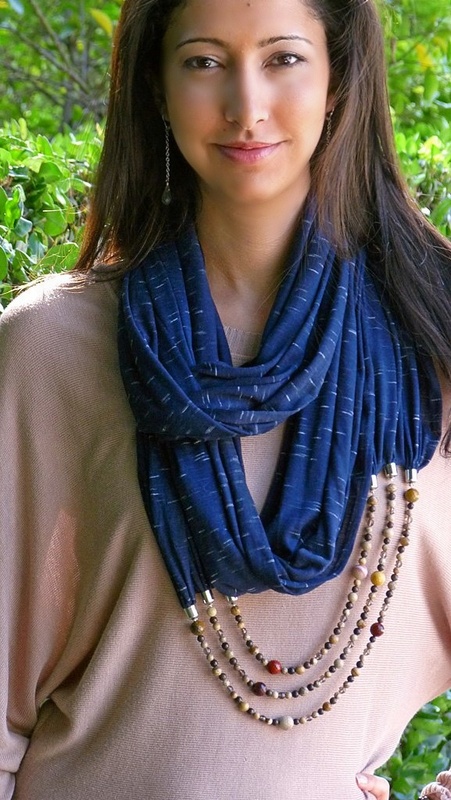 To learn more about House of Shakti Jewelry and their products, or their participation in The Artisan Group's celebrity gifting initiatives, visit http://www.houseofshakti.com, call (888) 223-3312, or email press(at)houseofshakti.com. Lubna Salah, House of Shakti's sole proprietor, resides in Beverly Hills, CA.